Photos have nearly endless applications in speech-language therapy: descriptive skills, focus on specific structures such as verbs or prepositions, social and executive functioning. Programs such as Visualizing and Verbalizing use photos to build schema and gestalt processing. Technology naturally makes obtaining such stimuli easier, and one such resource is the recently updated Getty Images app (free). Getty Images is a source of over 60 million images, and though designed for creative and media professionals, its galleries are free to view. The free app allows you to search for photos tagged with a specific term (e.g. "kids" or something much more specific), add ones you like to a "lightbox" and display the photo full-screen within the app. 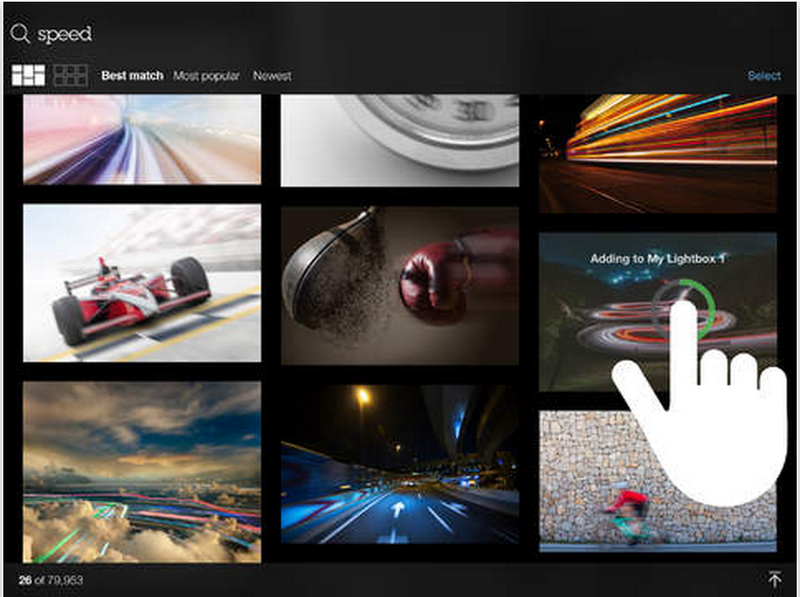 Multiple lightboxes can be created and named to help you access photos you would like to view again. As the images are designed for sale, the app naturally doesn't allow you to save them to the camera roll. Creating a free login for the service, however, will allow you to view the photo without a distracting watermark and use it within a session. I did not want to potentially violate copyright by posting an image other than what is shared in the App Store, but you can see below the myriad of search terms and attributes attached to one photo, offering a sampling of what you can use to search for photos (and a hint that this app may be used to work on attributes as well)!